On Monday night, Marvel Studios treated members of the press to a screening of “Guardians of the Galaxy Vol. 2” at Marvel Studios’ headquarters on the Disney lot in Burbank. You’ll have to wait until April 24th to find out what we thought about the movie, but we can tell you plenty about the highlights from the studio tour Marvel held before the screening. Among the highlights, we saw the first ever footage of “Black Panther,” a look at concept art from “Ant-Man and the Wasp” and got some interesting, if vague hints about the future of both the “Guardians of the Galaxy” and “Spider-Man” franchises. There was a lot to unpack, so we’ve broken it down for you in bite sized chunks. Read on to see the ten coolest things we saw during our Studio visit. Nervous fanboys were bit worried that Marvel Studios wouldn’t return to Hall H this summer at San Diego Comic-Con. Disney’s D23 happens the week before in Anaheim, and the last time the mouse house had its own convention the same month as Comic-Con (2015), Marvel skipped the big show in San Diego entirely. But this time, Marvel plans to do both. TheWrap asked Marvel Studios President Kevin Fiege directly about the company’s Comic-Con plans, and he confirmed Marvel will in fact be back to promote it’s wares at Hall H. Though he didn’t actually say what they’ll be promoting. The safe best seem to be advanced looks at “Captain Marvel,” “Avengers: Infinity War,” “Thor: Ragnarok,” and “Black Panther” which wraps principal photography in two days. Kevin Feige says that despite the success of “Deadpool” and “Logan” for20th Century Fox, Marvel Studios isn’t planning to start churning out R-rated films of its own. But, he said, that’s only because focusing on the films’ ratings misses the point. Joss Whedon is a mensch. Feige said that Whedon, who directed both “The Avengers” and its sequel “Age of Ultron” contacted him before the decision was made public. “He called. A couple months ago, which he didn’t have to do and was super cool of him and super nice of him… And we couldn’t be more supportive. We want to see a Joss Whedon ‘Batgirl’ film be awesome. Feige feels confident Brolin will excel in the role. “I think he’ll make one hell of a Cable,” Feige said. Marvel execs gave us the very first look at Brie Larson as Carol Danvers in her “Captain Marvel” uniform. The Captain Marvel costume is absolutely incredible and comic-book accurate. The costume is an updated take to what Kelly Sue DeConnick did with “Captain Marvel” in the 2012/13 Marvel comic run. Andy Park, Marvel Studios Visual Development Supervisor/Lead Character Concept Artist, pointed out that the costume is still evolving and Larson has not yet tried on the design featured in the concept art images. Sidenote: One of the concept art images featured Danvers fighting what looks like Kree Sentry Robots. James Gunn had already announced he’ll be returning to write and direct ‘Guardians of the Galaxy Vol 3’ hours before Marvel’s open house, but Feige hinted that the relationship could extend well past that film. Worth noting that Gunn also says “Guardians” will set up the next ten years of storytelling for the Marvel Cinematic Universe. If so, having him stick around will probably be helpful. The first stop on the tour of Marvel Studios was the first sizzle reel for “Black Panther,” and yes, it sizzled. Primarily focused on the journey key characters take to coronation of Black Panther/T’Challa’s (Chadwick Boseman) as king of Wakanda, the reel also included some funny character interplay and some stunning action too. 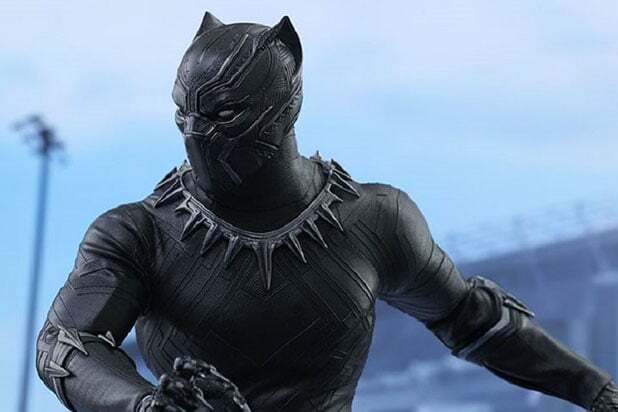 However, the standout scene featured Nakia (Lupita Nyong’o), a member of T’Challa’s personal bodyguards, as she single-handedly takes out a group of armed assailants somewhere in the jungle (presumably Wakanda). Notably absent from the footage was the villain Erik Killmonger, played by “Creed” star Michael B. Jordan. Though Jordan did pop up for an interview after the sizzle reel ended. “Thor: Ragnarok” director Taika Watiti showed up in person to announce that he’ll be appearing in his own film in the role of comic book fan favorite character “Korg.” Introduced in the “Planet Hulk” storyline on which “Ragnarok” is partly based, Korg is a member of the Kronan race who fights alongside the Hulk during “Planet Hulk” and later becomes a crucial friend of the not so jolly green giant. 9) Tom Holland’s Spider-Man is in “Avengers: Infinity War” and (whew) Marvel Studios has no involvement in the Venom spinoffs. Shocking no one, Feige confirmed that in addition to a planned sequel to “Spider-Man: Homecoming,” the Spider-Man will appear in the next two “Avengers” films. But is that it? “That’s as far as it goes for now,” said Feige. 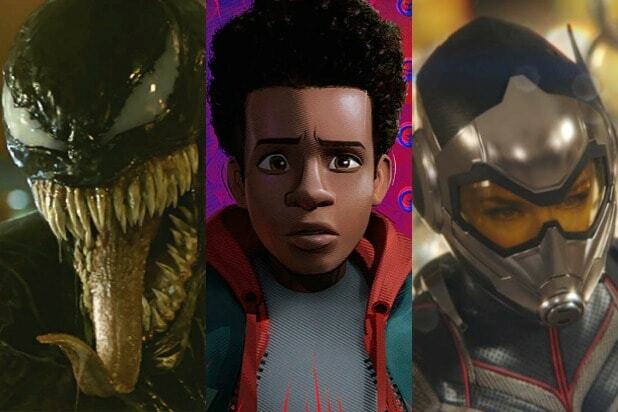 Paranoid readers might remember that back in March during Cinemacon, former Sony head Amy Pascal implied during an interview that Spider-Man’s time in the MCU might end after the sequel to “Homecoming.” But before you start sweating, bear in mind that at the time, a source with knowledge of the situation told TheWrap bluntly that Pascal’s assertions were not true. Of course Sony is, for now at least, moving forward with it’s own Spider-Man-related films, one focused on the anti-hero Venom, and one featuring a team up between Silver Sable and Black Cat. But Feige confirms those films will have nothing to do with the Marvel cinematic universe, or with the latest incarnation of Spider-Man. “We had a very particular plan about Spidey himself,” Feige said when asked why Marvel wasn’t involved in Sony’s projects with those characters. Last but not least, director Peyton Reed was on hand to personally show off new costume designs for Ant-Man, Giant-Man, and the Wasp as they’ll appear in 2018’s “Ant-Man and the Wasp,” along with some new concept art. One bit of concept art showed Ant-Man and the Wasp escaping a dog while miniaturized. Another showed Giant-Man in the city streets. But Reed also showed off two iterations of the flying Wasp suit, one of which was a major clue about the plot of the film. The first, will be worn by Hope Van Dyne (Evangeline Lily) and appears largely the same as the costume shown in the post-credits scene of 2015’s Ant-Man, with some minor touches. But the other? It was the older version worn by Hope’s mother, Janet van Dyne, in Ant-Man backstory. It looks like that film may see the heroes rescuing Janet from the Quantum Realm after all.